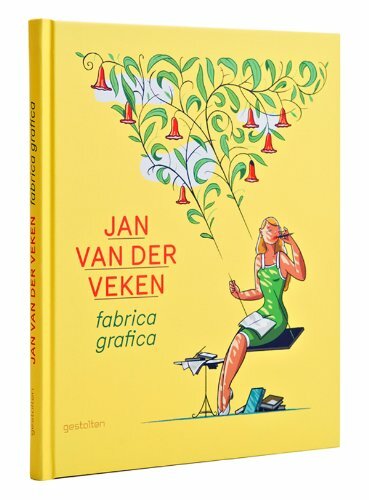 Fabrica Grafica is the artbook featuring the works of Belgium illustrator Jan van der Veken. His illustrations have an editorial feel to them and can sometimes be seen to grace The New Yorker covers. Fabrica Grafica is also the name of his company. In this 128-page hardcover are some of his finest works. His style is one that combines art deco, traditional Belgium comics (Herge's inspired) and Bauhaus influence. He uses a limited colour palette and few lines. Typefaces are often created in the style of the 20s to 50s. There's also this geometric perspective to some of his works. The resulting artwork is beautiful, classy and timeless. Some of his more serious works also tackle subjects in our everyday world such as brands, patents, industrial espionage, medical ways to fight heart pain, the career ladder, the legal system and sensory overload in the digital world. It's a great artbook from the sought-after artist.